North and South American organisations dominated the headlines over the past week as various teams from both regions switched players while new teams also came about, and at the same time, we finally have information about the Perfect World Minor slated for November. The Perfect World Minor will be the first Dota 2 Minor of the season held in China. Officially named as “The Perfect World Masters”, the event is set to run from November 19 to November 26. It will feature as many as ten teams in the main event, fighting over a prize pool of $300,000. Tournament qualifiers will start as early as later this month. Perfect World seems to have learned from the Shanghai Major debacle; they’ve partnered up with PGL and FaceIt this time around. Hopefully, this all means that we won’t be seeing a repeat of what happened at the Shanghai Major more than 1 year ago. With the competitive Dota 2 landscape likely to become more sustainable due to the recent changes, Vici Gaming immediately saw the opportunity to branch out outside of China. VGJ.Storm will be Vici Gaming’s fourth official squad for the upcoming season. It’s also the second squad endorsed by Brooklyn Nets Point Guard Jeremy Lin after VG.J, which has since been renamed as VGJ.Thunder. The newly-acquired team is mostly made up former Team Freedom players. The only exceptions are Ravindu ‘Ritsu’ Kodippili and Eric ‘747’ Dong. VGJ.Thunder is currently competing at the King’s Cup Qualifiers tournament. They lead all teams with a 7-3 record. After spending a year apart from each other, the MVP.Phoenix roster that shocked the world at The International 6 are running it back together for the upcoming season. The former TI6 MVP squad are currently playing under the name Team Phoenix without a sponsor. A fitting name, considering that they’re literally the only all-Korean team competing professionally in Dota 2. Immortals, after their recent announcement, are said to be the leading candidates to pick up Team Phoenix. A perennial powerhouse since their inception, Team Secret look to be strong contenders once again after adding Adrian ‘FATA-‘ Trinks and Marcus ‘Ace’ Hoelgaard to their lineup. Ace and Fata- will take up the recently vacated position 1 hard carry and position 3 offlaner roles respectively for Team Secret. The shift in role for Fata-, while surprising at first glance, kind of makes sense when you consider his penchant for playing space creators and playmakers. 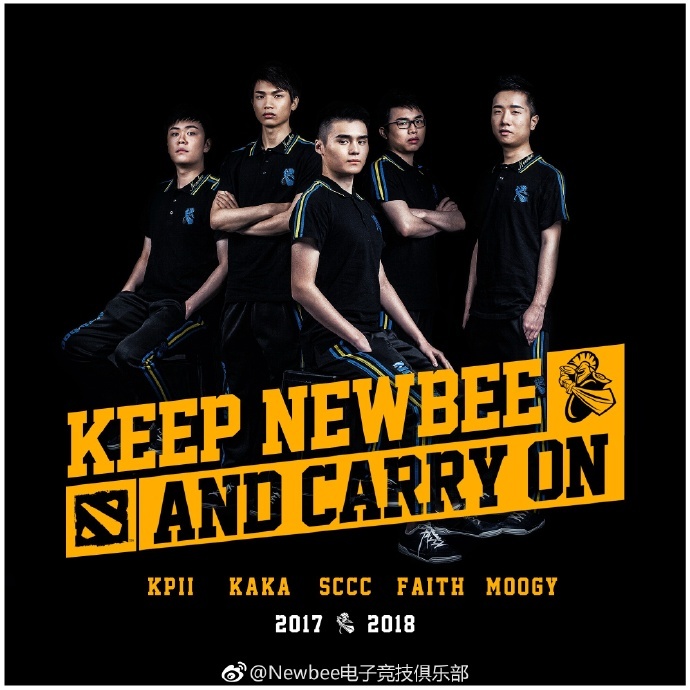 The atypical Chinese team, Newbee has announced that they are making no changes to their roster for the upcoming season following their 3-0 loss at the hands of Team Liquid in the Grand Finals of The International 7. With their decision, Newbee should remain the favourites to defend their land at the Perfect World Minor later this November. After a failing to qualify for TI7 via the NA qualifiers, the North American Esports have decided to make some notable changes to their roster. Namely, dropping Feras ‘Feero’ Hroob and Jimmy ‘DeMoN’ Ho in favour of the Swedish brothers, Linus ‘Limmp’ Blomdin and Rasmus ‘Chessie’ Blomdin. Both players have already played for Complexity Gaming in the past. They were both part of the 2015-16 season lineup that qualified for two Majors but ultimately failed to make it to TI6. Since then, Limmp has spent the year with Alliance, while Chessie took some time off to focus on streaming and improving his health. Complexity Gaming currently holds a 6-0 record at the King’s Cup Qualifiers, good for 2nd-place. After spending much of the past two competitive Dota 2 seasons with SEA teams Fnatic and TNC Pro Team, Murielle ‘Kipspul’ Huisman makes a jump to the CIS region to coach Vega Squadron. This is a very interesting move for both parties. In particular, mainly because CIS teams have a reputation for being notoriously difficult to work with. So far, only Ivan ‘Artstyle’ Antonov of Virtus.Pro has had prolonged success as a coach of a team in the region. Although it certainly must’ve helped that he was the captain of the legendary Natus Vincere squad that won the first-ever The International. Vega Squadron’s decision could help influence CIS organisations in the further should it prove successful. As many as three South American teams announced their latest lineups over the weekend, with as many as five doing so in the past week alone. DC.SA and Infamous were among the first to do so. SG e-sports soon followed suit, dropping 4 out of 5 of their players and replacing them with players who came from Midas Club Elite. Details regarding the Infamous “Youth” squad for the upcoming season was also revealed, with the lineup being headlined by veteran carry player Benjamin ‘Benjaz’ Lanao Barrios. Finally, Mad Kings also announced their latest lineup, with Team Unknown standout Alexis ‘Greedy’ Venture playing for the team. Although they have since made changes to their original announcement after Juan ‘Atun’ Ochoa decided to break away from the organisation to join Digital Chaos’ South American squad. Mad Kings have yet to find a replacement for Atun. Pikachu and Aoharide complete M19’s lineup for the 2017-18 season. After disbanding earlier this year, Elements Pro announce their new international roster for the competitive season. Sedoy takes Mag along with him in his return to Effect. Digital Chaos SA sign former Team Freedom player YawaR and former Team Infamous players Kingteka and Matthew. TI7 SA Representatives, Team Infamous, rebuild around Accel and sign former Elite Wolves players. Team Liquid captain KuroKy shares his thoughts on winning a TI in The Player’s Tribune. German carry player Black^ successfully kills and beats OpenAI bot without resorting to unconventional methods. Team Tuho turn to the mercenary DeMoN to replace Asuna in the position 5 support role. Congratulations and well wishes to SirActionSlacks, who just got married!